As a stockist, what started with a core range of chocolate boxes, confectionery packaging and sweet or sweetie bags, including ballotins, cartons, base and lid boxes and polypropylene bags, has become one of Europe's largest collections of confectionery packaging. 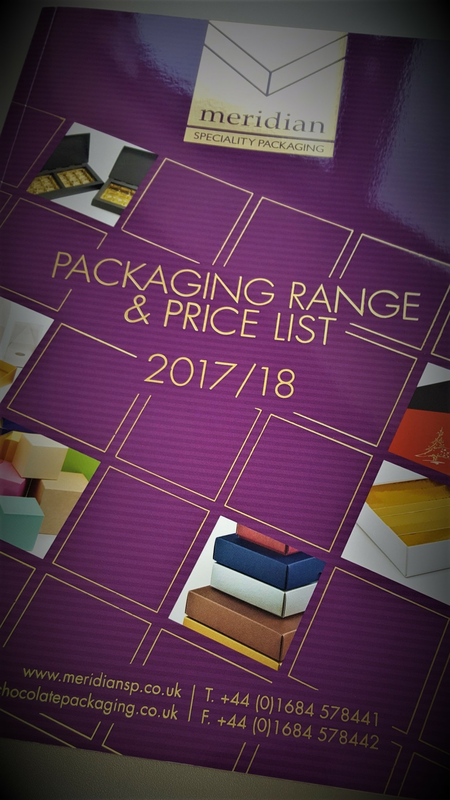 Meridian is unique as a chocolate box and confectionery packaging stockist in that we continue to manufacture a high proportion of the packaging we holds on shelf and because all products listed are held on shelf and are therefore available at very short lead times. This gives us an advantage in being able to maintain a high level of customer service from the smallest to the largest orders. Our very low average order value and high order volume means we're really good at dealing with customers and we care deeply about feedback. To read more about how we listen and respond to your comments, click here. Our current owners founded the company and continue to play an active role in how it is managed. Their continual investment and commitment, together with the dedication of a young management team and excellent, carefully chosen staff throughout the company ensures a continual review of products and services and provides a strong foundation for ongoing success. A first class sales and marketing team is supported by a friendly, approachable and multi-lingual customer services team with an unmatched concern for customer requirements and a guaranteed after sales service. Add to this our technical understanding of packaging, our BRC certification and first rate performance year after year in the re-certification audits, and we are confident we can help you grow your business through getting packaging right. View more information about our quality promise.